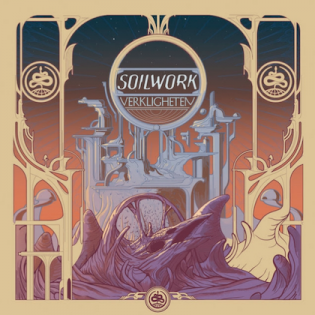 SOILWORK's latest record, "Verkligheten", is a remarkable testament to the consistency and reliability of the well-worn sound that the Swedish outfit has traded in since working through the growing pains of its early years. Birthed during the tail end of the '90s melodic death metal scene that spawned fellow native acts such as IN FLAMES and DARK TRANQUILLITY, SOILWORK's initial efforts, such as 2001's "A Predator's Portrait", followed a similar musical template. But much as the group's fellow countrymen adapted and evolved with growing metallic trends, the group latched on to a formula of catchy choruses, hypnotic rhythm guitar riffs overloaded with groove, a touch of pop songwriting, and nods to its overtly heavier origins that has served the band well since first truly mastering it with 2005's "Stabbing the Drama". 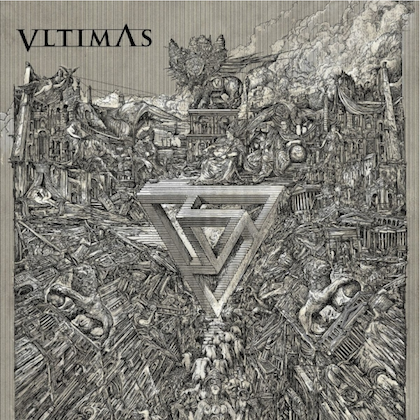 There have been missteps here and there—most notably in 2013 with the bloated, double-disc effort "The Living Infinite"—but "Verkligheten" is an effort that stands alongside the peaks of SOILWORK's discography. The group's latest is a well-oiled, streamlined effort with little filler beyond an instrumental intro that starts the record. 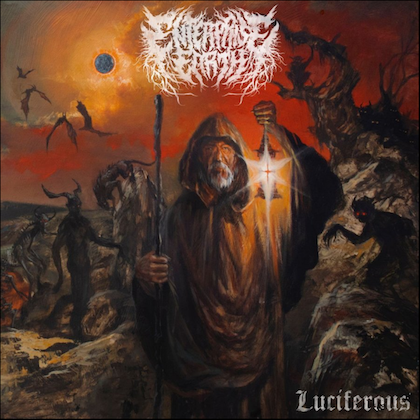 Each track beyond that hits the ground running, the band fulfilling its mission of loading each track with soaring choruses and grooves that are easy for even the most casual headbanger to lock into a steady motion. "Arrival" begins with new drummer Bastian Thusgaard immediately making his impact felt. He delivers a barrage of blast beats before the band locks into a fast-paced thrash of metallic triumph punctuated by beautifully layered choruses, once again showcasing Bjorn "Speed" Strid's flair for vocal ability and songcraft. The seat left open by the 2016 departure of Dirk Verbeuren to MEGADETH, after his decade-long stint in the band was a big gap to fill. However, Thusgaard's status as a student of Verbeuren's, as well as his experience cutting his teeth in the live setting prior to recording, has resulted in a very capable presence behind the drum kit. In addition to settling in comfortably on more melodic rock tracks such as "Stålfågel", Thusgaard rains down hard on the more aggressive moments of metallic brutality that are called for on heavier tracks such as "Needles and Kin". Longtime fans who appreciate the faster-paced, harder-edged aspects of SOILWORK's sound will also find plenty to revel in during "When the Universe Spoke", a mid-album burst of breakneck-speed fury that slows down only momentarily for a brief respite of melodic guitar work from the duo of Sylvain Coudret and David Andersson. 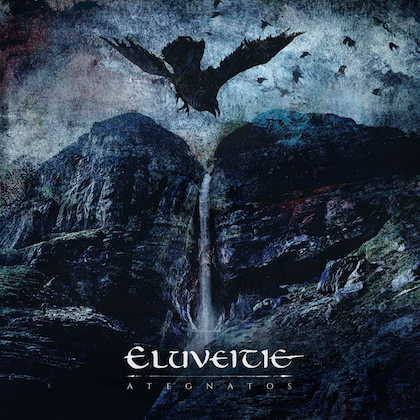 A few albums into their tenure as SOILWORK's guitarists, Coudret and Andersson have established an interplay that masterfully reigns supreme, be it moodier interludes, crunchy rhythm riffs or shredding melodic solos that would have fit alongside the higher-end of Kim Thayil's (SOUNDGARDEN) playbook, most notably on the aforementioned "Stålfågel" as well as "The Ageless Whisper". SOILWORK has always excelled at balancing moments of heaviness with catchy melodic hooks. The moments of melody though seem even more pronounced and well-constructed on "Verkligheten". In between SOILWORK albums, Strid and Andersson have played in a side project called THE NIGHT FLIGHT ORCHESTRA. The modus operandi of that act is indulgence in the pop-driven sounds of early '80s radio rock, with Strid's vocals taking on an enticing croon. That band has had four albums now to master that musical aesthetic, and a little bit of it is now bleeding into the SOILWORK blueprint. "Full Moon Shoals" is a track that could easily fit on a NIGHT FLIGHT ORCHESTRA record if you strip away the few moments where Strid goes for his metallic barks and a burst of speed in the second half of the track. The croons that Strid takes on with his other act have also infiltrated SOILWORK's songwriting throughout "Verkligheten". Since SOILWORK has long established excellence in the melodic aspects of its sound, the integration of those elements come off a bit more natural than it might for other acts bringing in aspects of side projects. SOILWORK stopped reinventing the wheel a long time ago. The group has spent the last decade slightly refining the strong formula it locked onto over a decade ago, and it has aged much better than some of its contemporaries which have struggled with failed trend-hops or attempts to recapture past heavier glories. "Verkligheten" is the sound of a veteran band that is very comfortable in its own skin.